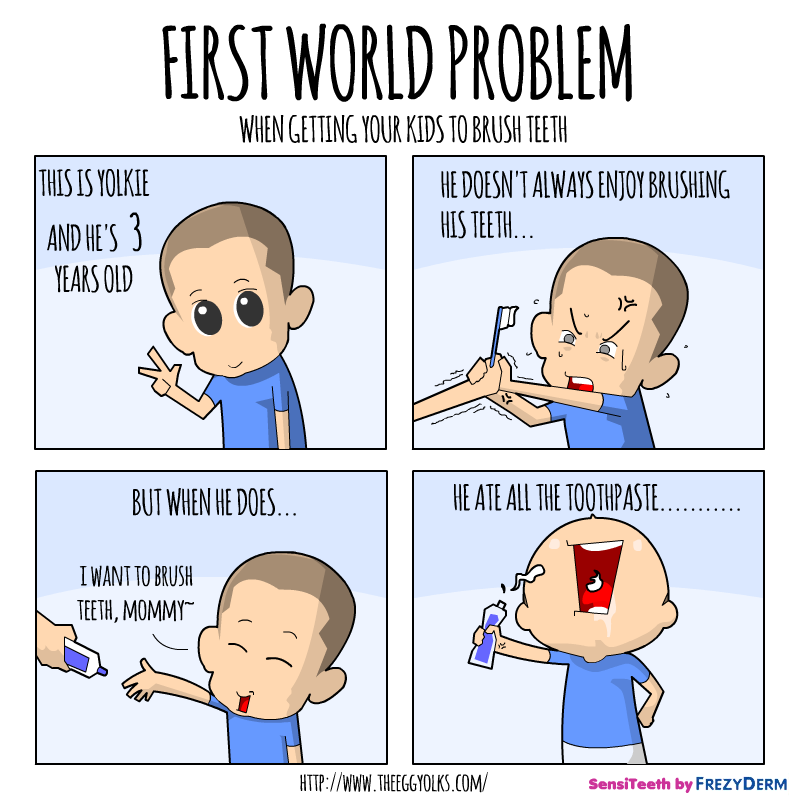 For most parents out there, one of the greatest challenges in parenthood is to get your child to BRUSH TEETH!! We had to wrestle with little yolkie all the time before we get to brush his teeth properly. There are times that he offered to brush his own teeth but as you know, kids these days aren’t as innocent as you think they are. When we handed him the tooth brush and the tooth paste, the next thing you see is that he is eating the toothpaste! It is almost impossible for us to completely stop little yolkie from swallowing the toothpaste before he is old enough to manage his dental care himself. As for now, all that we can do is to educate him and provide him with dental products which are safe and free from harmful toxic. 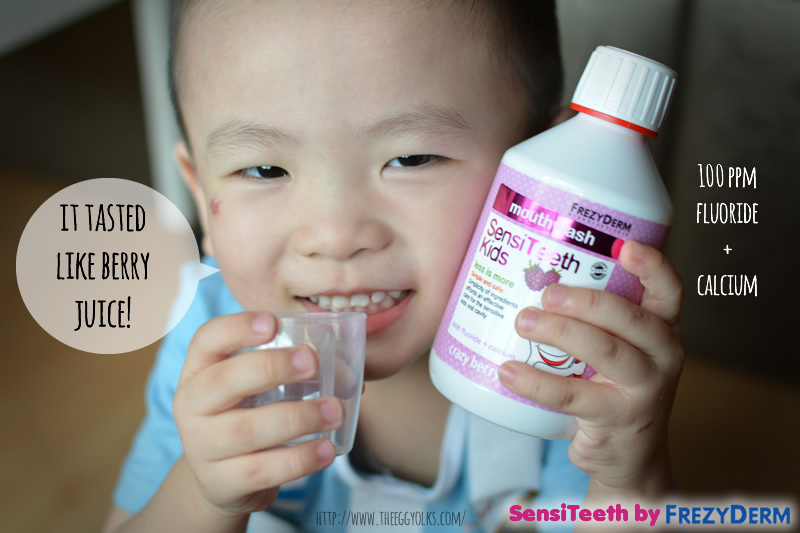 The SensiTeeth Kids line has been designed to minimize the risk of allergic reactions. All products in this range are gluten free and suitable for those taking homeopathic medication. They are also free from Gluten, Parabens, Aromatic Allergens, SLES, Soap and Colorant. 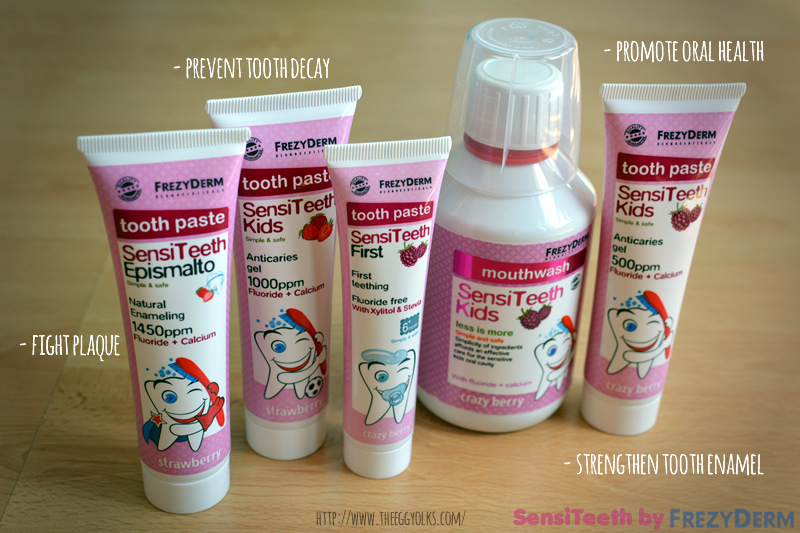 The following are the product range of SensiTeeth. 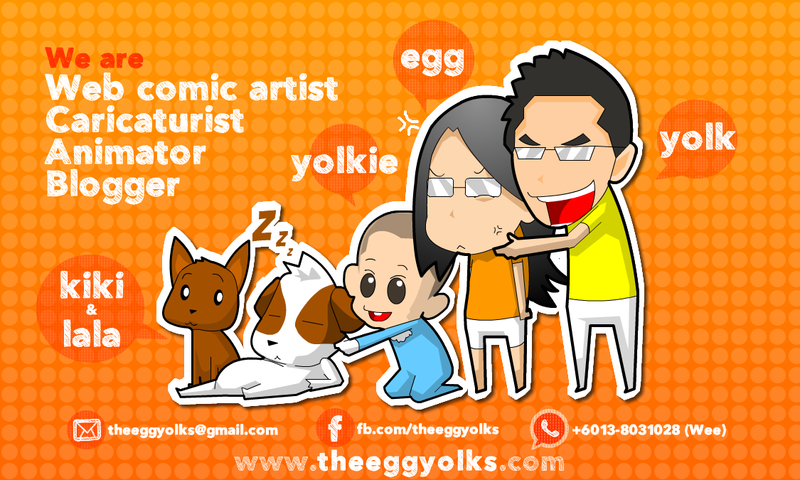 Little yolkie is now 3 years old, thus we decides to introduce him the toothpaste with calcium-fluoride formulation. 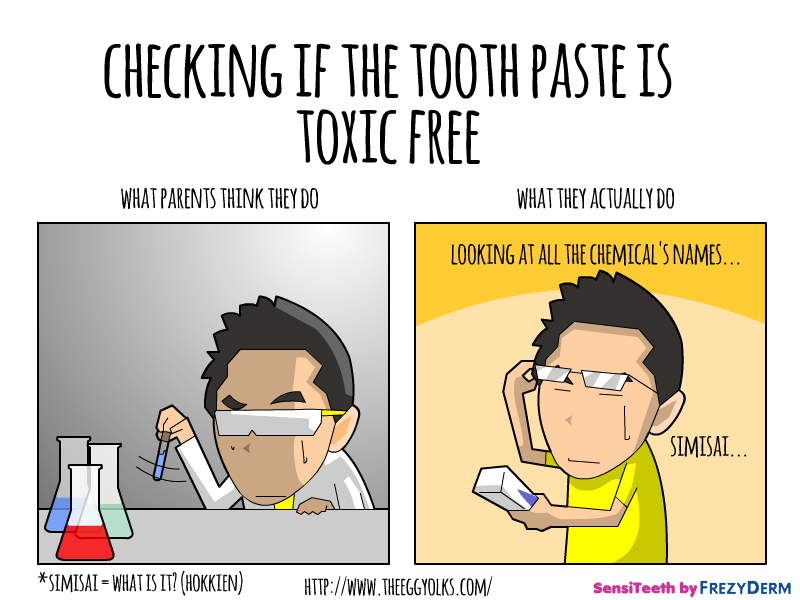 Fluoride is used to reduce tooth decay. However, high concentration Fluoride (>1000 ppm) increases the risk of fluorosis in young children. 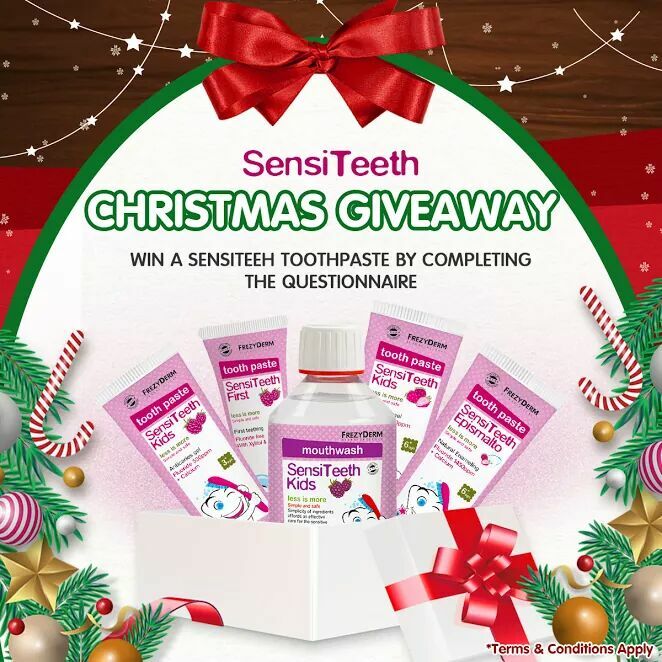 SensiTeeth Tooth paste 3+ comes with the right amount of Fluoride (500 ppm) and calcium which helps to grow stronger teeth. 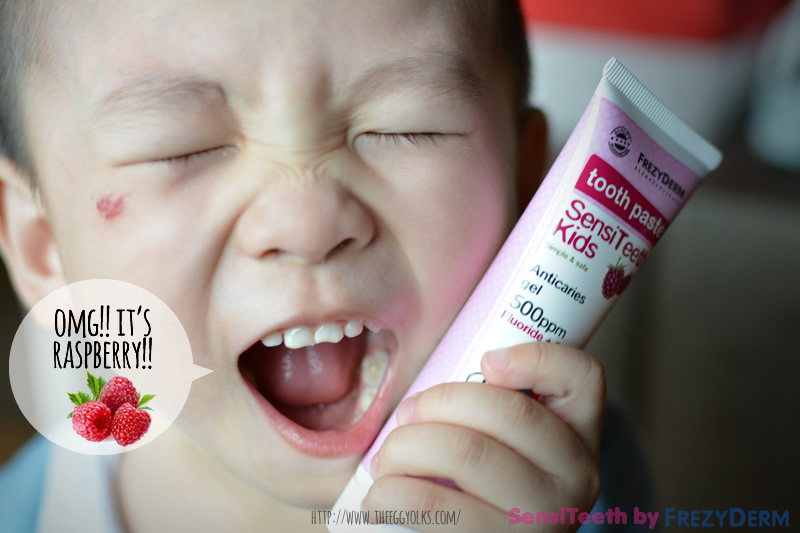 Little yolkie enjoyed using this toothpaste very much, well, most likely because of its pleasant raspberry taste. It seems like twice a day isn’t quite enough for him. Brushing alone isn’t really enough especially for little yolkie who is a “candy-vore”. Germs tend to hide in the corners of the teeth which are unreachable by most toothbrush, that’s where SensiTeeth Kids Mouthwash comes in handy. Our teeth only occupies 25% of our mouth, the SensiTeeth’s mouthwash will be able to cover the rest of the 75% for a complete oral cleaning. 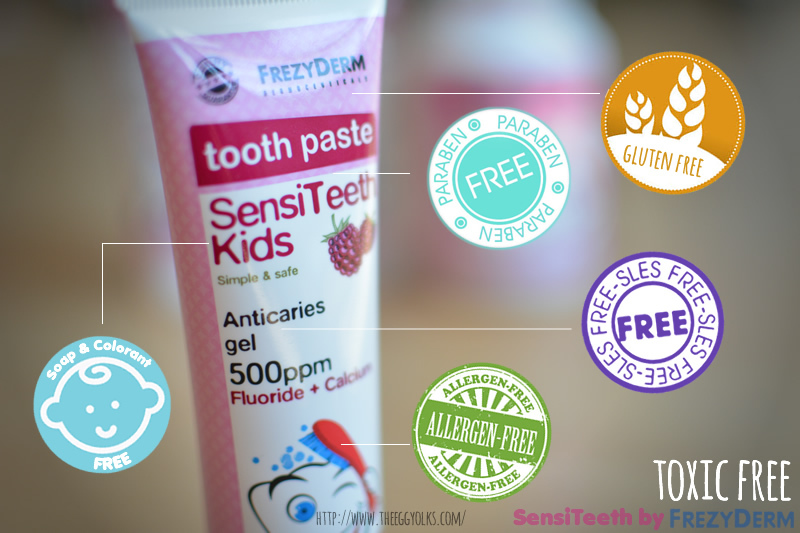 If you think your children is having problem taking care of their oral hygiene, why not give SensiTeeth a try? They are now available exclusively in Guardian and selected independent pharmacies. You can also request for a free sampling through the following link!